The Finalist exhibition is held at Saint Cloche Gallery in Paddington, Sydney. 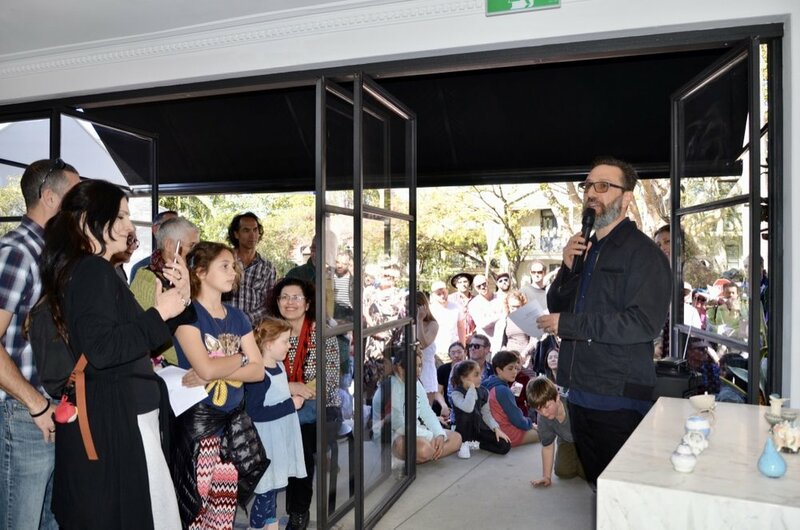 Little Things Art Prize is supported through the Woollahra Council Community & Cultural Grants program. Prize Day is an exciting and well attended event, a celebration of the 'little things’ and the prize winners. Prizes are presented by our supporter and special Guest Speaker Dr Tim Sharp from The Happiness Institute. Guests are treated to an on-site gourmet food truck and boutique ciders, enjoyed in a positive environment surrounded by creativity and expressions of gratitude. "Was such a privilege to be a part of the show and am so glad to have been at the ceremony yesterday was a beautiful day"
"Thanks so much for organizing such a lovely event - it was so nice to see all the works together." "What a wonderful experience being part of this exhibition"
"Thanks so much for another wonderful "Little Things" exhibition which I was thrilled to participate in. I find the theme is so positive and inspiring and spending time with the work so uplifting."